The EGR valve (exhaust gas recirculation valve or international EGR valve), opens, closes or regulates exhaust gas recirculation. Through this exhaust gas recirculation and the re-combustion of exhaust gases, the combustion temperature decreases, significantly reducing nitrogen oxide formation. 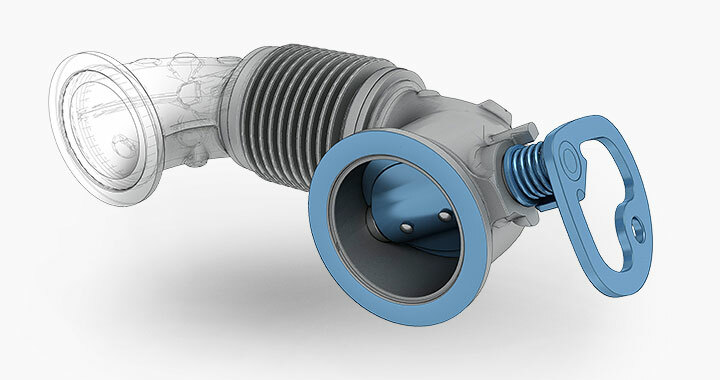 With EGR valves from Klubert + Schmidt, the EGR rate at any engine operating point can be set up individually in order to meet the legally prescribed emissions values for commercial vehicles. The flap valves will be activated by a regulated actuator with a position sensor. This can be implemented either pneumatically, electrically or hydraulically.